Mama Love: Mohawk & Vinyl Disoder Review & GIVEAWAY!! 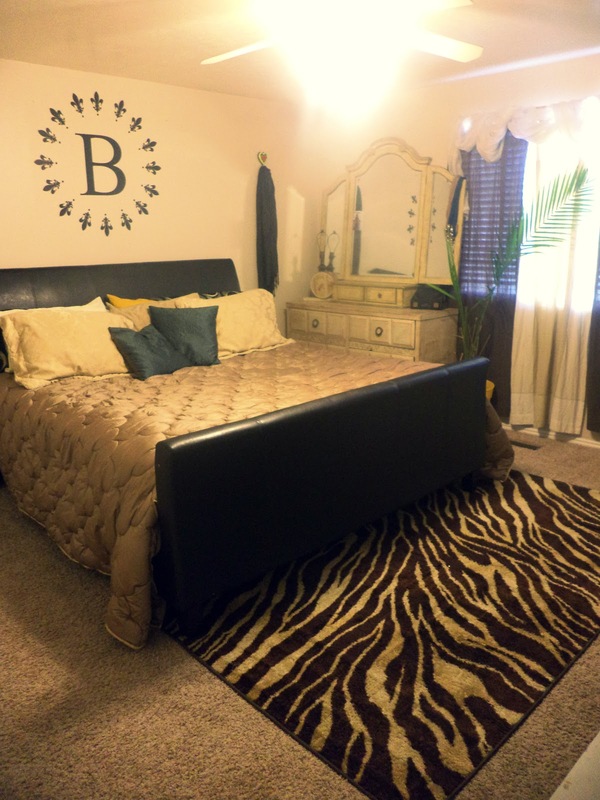 I did a review for Mohawk Home Last August and Loved doing that review, so of course as soon as I found out that I would be reviewing another Rug by Mohawk Home, and Giving one away, I was ecstatic!! 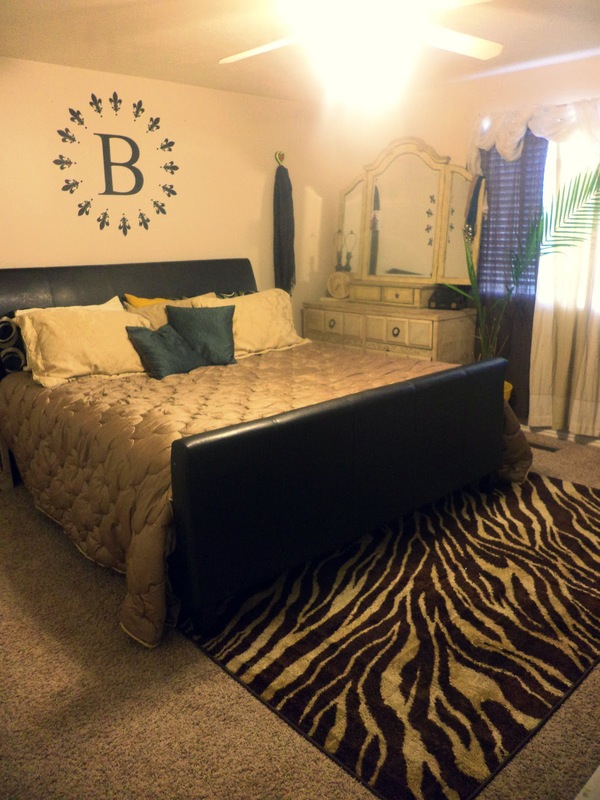 If you would like to read my first review on Mohawk Home you can find it HERE. I am very excited to be able to share with you about Mohawk Home and their beautiful rugs, again. 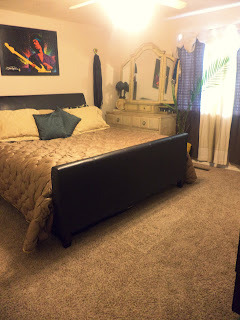 I have known about Mohawk Home for a long time because of their great reputation for flooring and rugs and not to mention they are one of the foremost manufacturers and distributors of residential and commercial flooring in the world.. 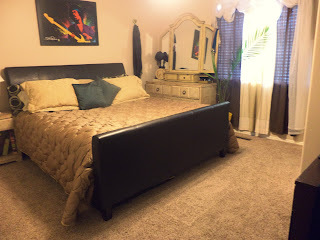 So, I was given the opportunity to review one their 5' x 8' rugs for my Master bedroom, a little mini makeover as I’ve been calling it. I visited the websites of the retailers that carry Mohawk rugs and it was very difficult to choose just one, I mean they have so many options I would put one in every room of my house. Like I said looking for a rug that would complete my mini bedroom makeover so I started by browsing for specific colors. 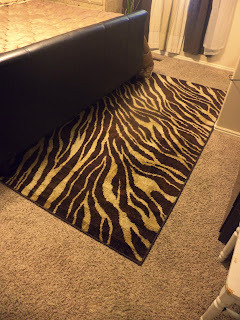 After browsing through many many choices, I decided on the Mohawk Home Watamu Printed Rug which retails at Walmart for $142.00 (for the 5x8). 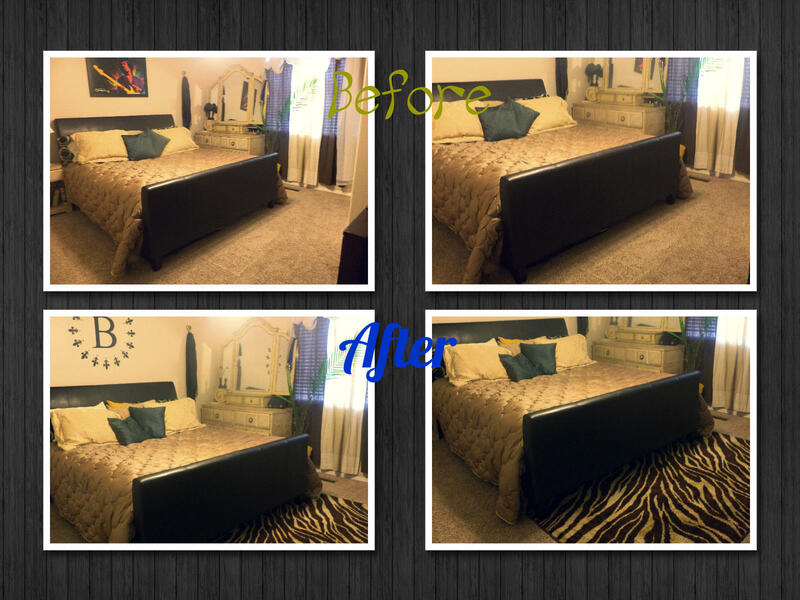 I know you want to see some before and After Pic s right!?!?! Look at that Rug Beautiful Right!!! Ok you can Clearly see the Difference of adding an Area Rug, it's UHMAZING! Who knew something so Simple could Update a room so quickly! And I'm sure you are wondering about the New Vinyl Decal above the Bed It came from Vinyl Disorder I've done 2 previous reviews for them they can be found HERE & HERE, honestly THE BEST vinyl company for any decal needs! 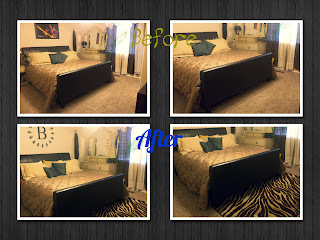 This piece that was used above the bed was a custom piece and they were so easy to work with I just emailed them my idea and within minutes they emailed me back and had everything pretty much ready to go so simple, if you can think it I'm sure they can create it for you!This whole room remake took me maybe 30 minutes and required no handyman type skills and the room looks completely NEW! I am in Love with our room for probably the first time Ever!!! 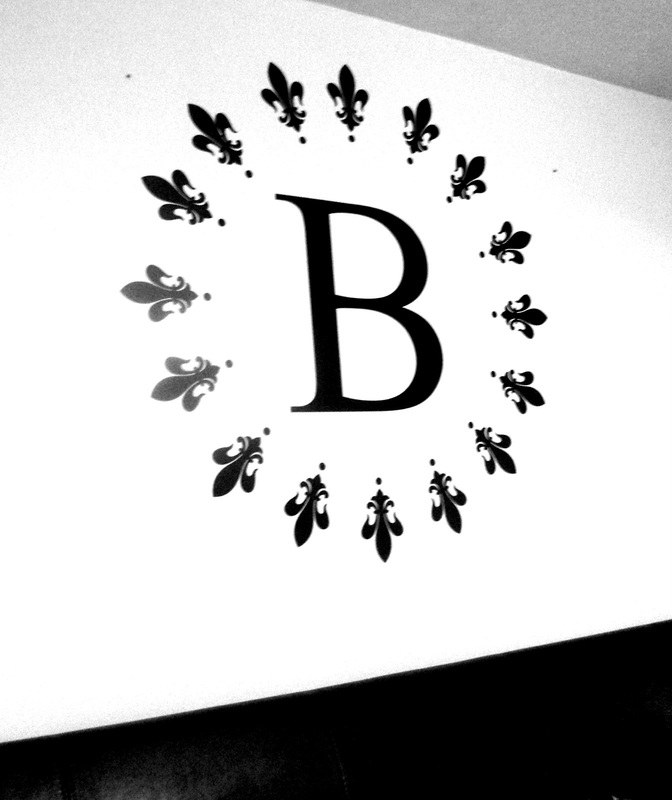 It is amazing how a new rug and vinyl decal freshens up a room. The deep rich colors in this rug really compliments the colors in the rest of the room. This rug is very well made, like all of Mohawk’s products, with the carpet being really plush and the edges of the rug are bound together! 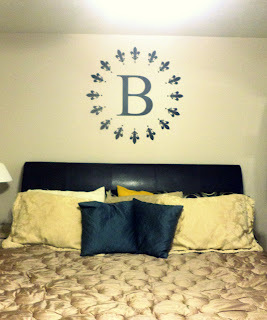 The Vinyl Decal was so easy to apply too, pretty much a Simple Peel and Stick and instant tranformation!! Not only does Mohawk sell area rugs but they also offer a full selection of doormats, indoor/outdoor rugs, kitchen rugs, bath rugs, rug pads and wood flooring and so much more. Here's the best part about Mohawk, they are made right here the U.S.A. in Calhoun, Georgia. Take a minute to look at the short video about Mohawk Home and keeping their products made in the USA. And if you are ready to get to shopping for a new rug to refresh your living space you can easily browse Mohawk's Products HERE for Area rug search, HERE for Browse by retailers, or of course Mohawk's site HERE! Now for the Giveaway you've all been waiting for, Mohawk & Vinyl Disorder have both so Kindly offered one of you lucky readers the chance to win an area rug of your choice (rug up to size 5x8 and under $150 valued on site. ) & a Vinyl Decal of choice (24' in size) So you too can do a mini makeover in your home! Just follow the Easy Rafflecopter form below and Good Luck! If I win, Id like the http://www.vinyldisorder.com/skullspd052.html#.UT38Yhya3N4 Skull Skulls Vinyl Decal Sticker 052 I'm re-doing my living room in skulls and this would be perfect!!! I would get the Felicia Praline area rug. If I win, I'd LOVE the Frise Shag | Crimson area rug for my room! it really needs sprucing up and this rug would be amazing! A rug this size would go great in our new home for the living room. I like the family names decal,but they have so many cool things i would have to think about it more and do some debating. Thanks for the giveaway! I love your rug,but if I won I think the Abacus rug would look great in our living room and im sure the boys would love it because our hardwood floors freeze them. I would pick the Dandelion blowing in the wind kit from vinyl disorder! Adorable! I love the Felicia Praline area rug! I would pick the "What would you attempt if you knew you could NOT FAIL Sports Vinyl Wall Decal Sticker"
I would get the Boston Metropolitan Skyline Vinyl Decal Sticker from vinyl disorder.